Like a bright star in the night sky, tangy, vibrant chimichurri can illuminate dishes such as grilled or roasted meats, roasted vegetables, starchy dishes, and even seafood. There are no rules about when or where you can use this versatile condiment to bring a splash of flavour and pleasing contrast to your culinary creations. By using exceptional ingredients, even in simple applications such as this, a high level of refinement can be obtained. The finest, freshest olive oil on the planet, used as the base for Chimichurri pays homage to the early harvest green fruit notes unique to our Ultra Premium extra virgin olive oil. 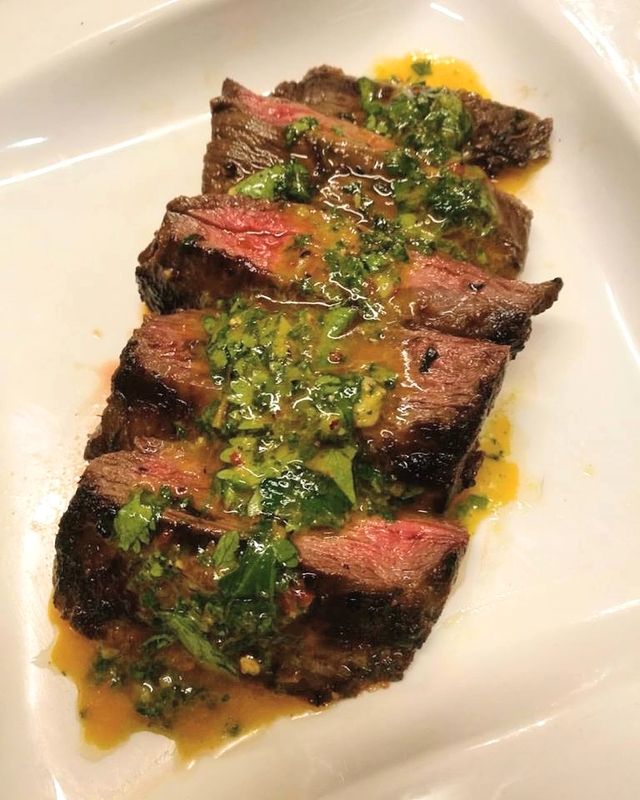 The green herbaceous flavors will elevate your chimichurri to levels heretofore unknown! Place the ingredients in to the bowl of a food processor and pulse until the ingredients are chopped and the sauce is combined. Can be made ahead and stored in the refrigerator for up to one week in a tightly sealed container. Freezes well for future use. Thanks to Rachel Bradley-Gomez for sharing her fabulous recipe with Olive Us Oil & Vinegar Tasting Room.